He’s a proud father of two. 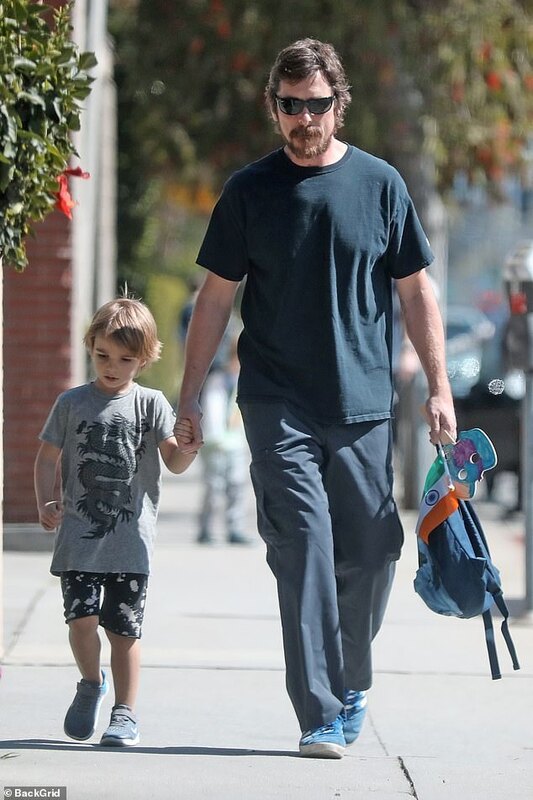 The actor, 45, held Joseph’s hand while strolling through sunny Santa Monica. 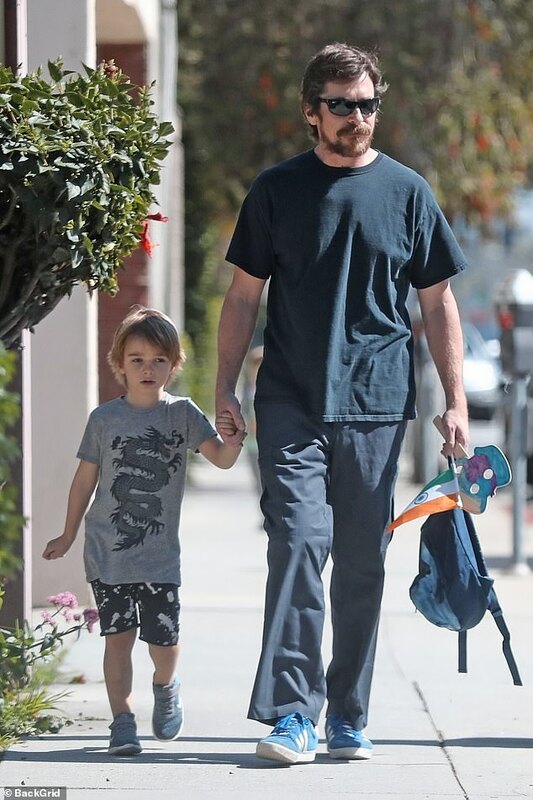 Christian looked every inch the doting dad as he carried his son’s belongings, including a painted mask and flag. 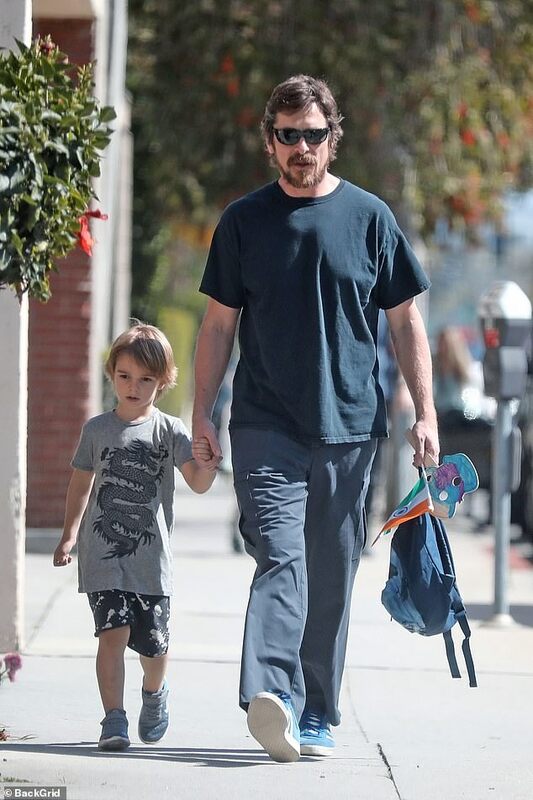 His son rocked a dragon print T-shirt, an arty pair of shorts, and blue sneakers. Not pictured during the outing was Joseph’s older sister Emmeline, 13, and his mother, Sibi Blazic. Christian and Sibi celebrated 19 years of marriage on January 29. 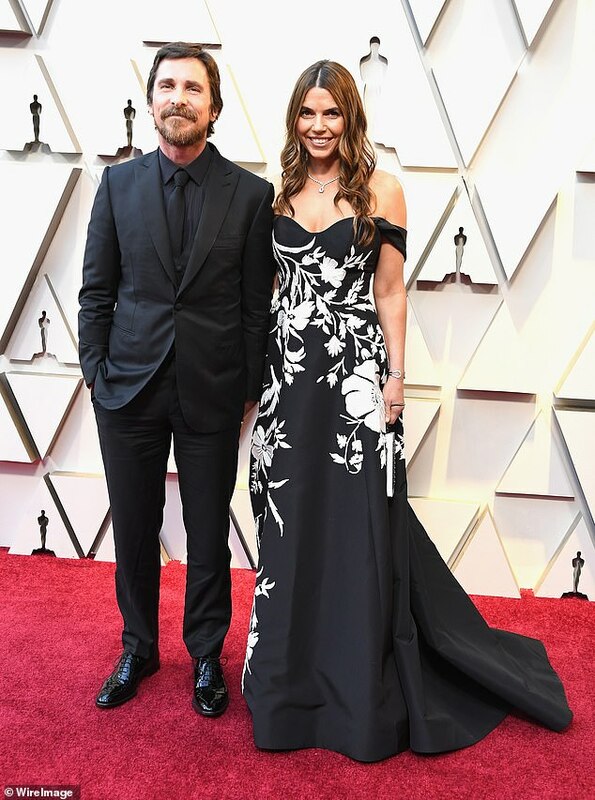 The couple married in 2000, even though the actor had initially ruled out ever tying the knot before meeting Sibi. ‘I never planned to marry. Everyone was divorced in my family so I didn’t have very healthy ideas about marriage,’ he told Easy Living magazine in 2012.